Gile Bae was born in 1994, in Capelle aan den Ijsel, the Netherlands. She began studying music at the age of five, showing exceptional talent as a pianist, and made rapid progress. She made her debut as a soloist in 1999 with Orchestra in South Korea, and went on to perform in the UK, Austria, Germany, the Netherlands, Switzerland, Spain, Portugal and Italy. During this time, she also performed live for radio and television broadcasts in northern Europe. At age six Gile Bae enrolled in The Hague Royal Conservatory, where she studied under Marlies van Gent. Campina International Piano Competition in Portugal. In 2009, she took first prize at the Princess Christina Competition in the Netherlands, as well as the top prize at the Steinway & Sons International Piano Competition, and was chosen to represent the Netherlands at the Steinway & Sons International Festival, where she performed at the Laeiszhalle in Hamburg. She has played for the Dutch royal family on numerous occasions, and in 2013 gave a performance for Nobel Peace Prize recipient Aung San Su Kyi at the Alma Mater Studiorum in Bologna. In 2014, as part of celebrations for the 25th anniversary of the Incontri col Maestro Piano Academy of Imola, she performed in the opening concert along with Vladimir Ashkenazy. Also in 2014, Gile Bae performed works by Brahms at the MITO SettembreMusica International Music Festival in Milano and Torino. 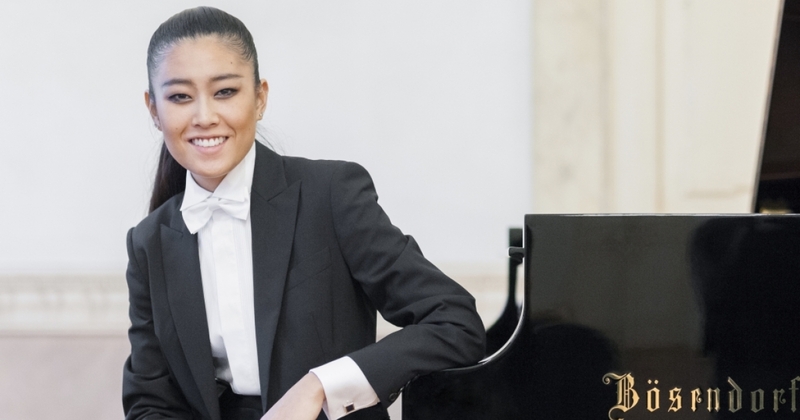 She has attended numerous master classes, held by pianists including Naum Grubert, Elza Kolodin, Ruth Nye, Tatiana Zelikman, Boris Petrushansky and Jean Ives Thibaudet. She is currently continuing her studies at the Incontri col Maestro Piano Academy of Imola, under the supervision of the academy’s founder, Maestro Franco Scala. In May 2016 Gile Bae performed J. S. Bach’s Goldberg Variations at Teatro Olimpico in Vicenza, Italy, for a live recording.